Got your new Windows Phone? Congratulations! The first step you need to take is to actually set up the smartphone for the first time. We’ve continuously stated how user-friendly the experience is, so why do we need a tutorial on setting up a new smartphone running Microsoft’s mobile operating system? It’s a fair question, but truth be told that many aren’t as computer savvy as those who were born in this millennium. That said, it really is super simple to get cracking from unboxing the new gem in your life to making calls, downloading apps and racking up the gamerscore on Xbox Live. What do you need to get started? Nothing really, just the new phone, ample enough charge to get through (it’s always recommended to zap some juice into the device before use) and our quick step-by-step guide. Shall we begin? 1. 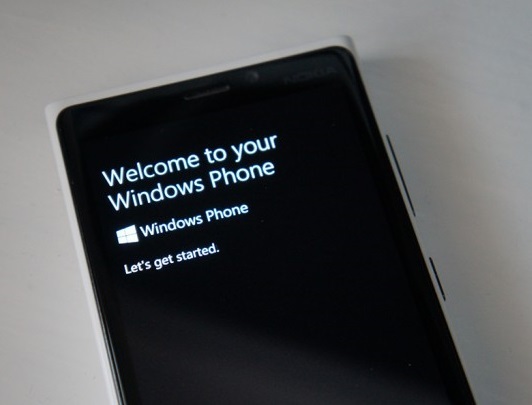 Turn on the Windows Phone and wait until the splash screens for both the system and manufacturer pass by and the welcome screen pops up. 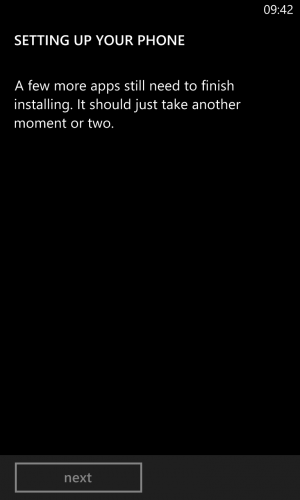 You’ll now be greeted by the install wizard and you’re now beginning your Windows Phone journey. 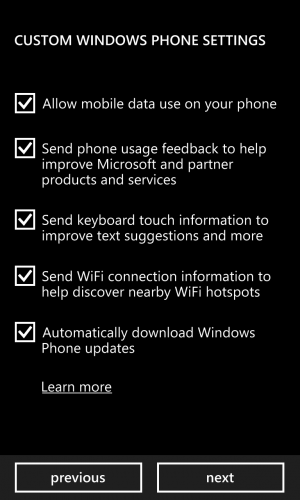 Should you choose the recommended option, the device will be configured to automatically download software (not app) updates, as well as sending phone usage feedback, WiFi connection data and keyboard touch information to Microsoft. 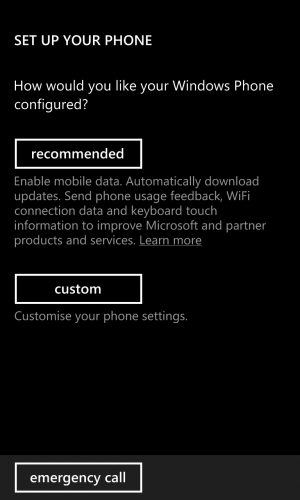 Selecting “custom” from the screen will enable us to configure each above the above, but you can limit what’s sent to Microsoft after the phone is set up and ready to go. 3. After choosing exactly what data (if any) is collected and sent to Microsoft, we’re now tasked with setting up and configuring the date, time, country and time zone. Be sure to choose and set each field carefully as incorrect settings could cause issues further down the line (note that alterations can be made after the installation is complete). Simple stuff. 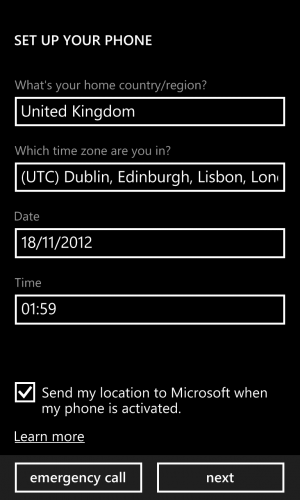 Secure your Windows Phone with automated backups and location-based measures (Find My Phone). Enable Xbox LIVE, Xbox Music (free trial available) and Messenger. Receive and send emails using Outlook.com. 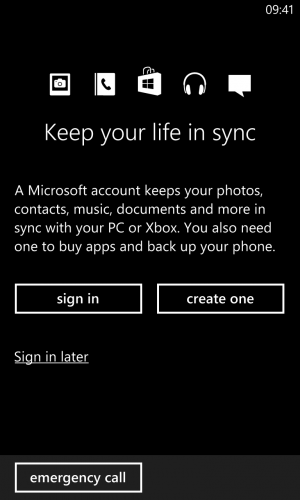 Synchronise your Windows Phone (and its content) with a Windows 8 PC. Make use of SkyDrive and the generous free storage quota available. Purchase and download apps and games from the Windows Phone Store. Integrating Twitter and Linked In into the People Hub. Receive personal results in Local Scout, Music + Videos and the Windows Phone Store. 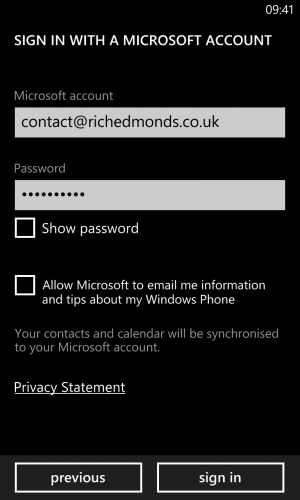 Automatically synchronise contacts with Outlook.com. 5. Almost there! 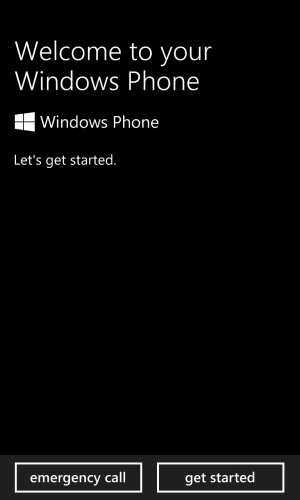 The Windows Phone will now complete the installation and fire up some apps so everything is ready to go. This shouldn’t take more than a few minutes. You’re done. Now you can enjoy your new Windows Phone.